InTouch is a management system comprised of 20* agencies throughout the state funded by DHS to serve as a link between DHS funded prevention programs, state government, to research community, and local communities. 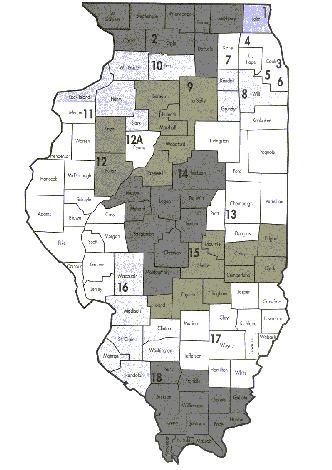 The state is divided into 19* InTouch regions, called Prevention Service Areas (PSAs). The City of Chicago is divided into five areas in conjunction with police department districts and the Chicago Together Center for Substance use disorder grant. The 19 PSAs were modeled after the Illinois State Board of Education’s (ISBE) regions allowing for ease in information sharing and analysis between DHS and ISBE. Each community-based provider is affiliated with an InTouch office in its PSA. *Note: PSAs are numbered 1 through 18. PSA #12 is separated into two areas 12 and 12A. This accounts for the 19 areas mentioned above. In addition Prevention First serves as the InTouch office for the City of Chicago making the number of agencies in the InTouch System a total of twenty agencies.